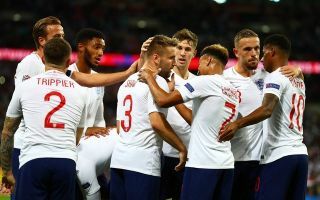 Manchester United duo Marcus Rashford and Luke Shaw combined to give England the lead against Spain in this evening UEFA Nations League encounter at Wembley. Marcus Rashford slotted home in what was a great team move by Gareth Southgate’s Three Lions. The marauding run from full-back Shaw is a great sign for fans as the Manchester United defender looks to be back to his best this season following a lengthy spell on the sidelines. England’s lead was short lived when Saul Niguez equalised for the Spaniards in a trademark Tiki Take move that fans have been accustomed to.